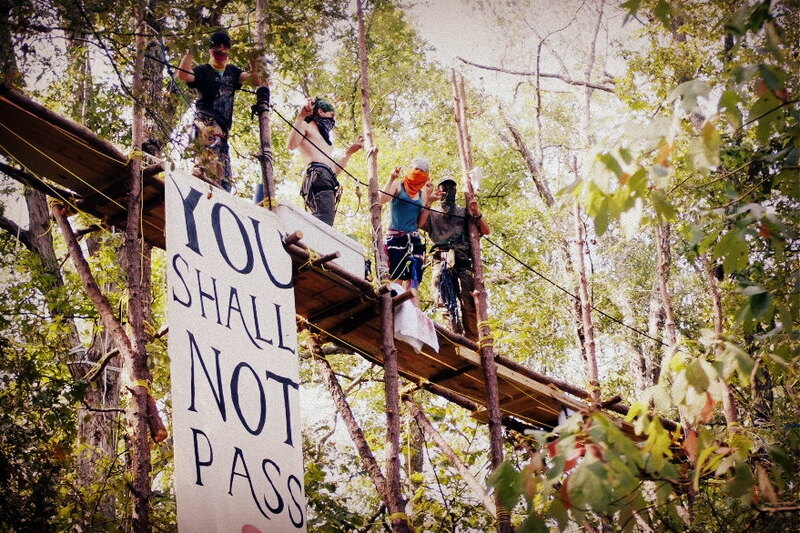 Blocking the Keystone XL pipeline. 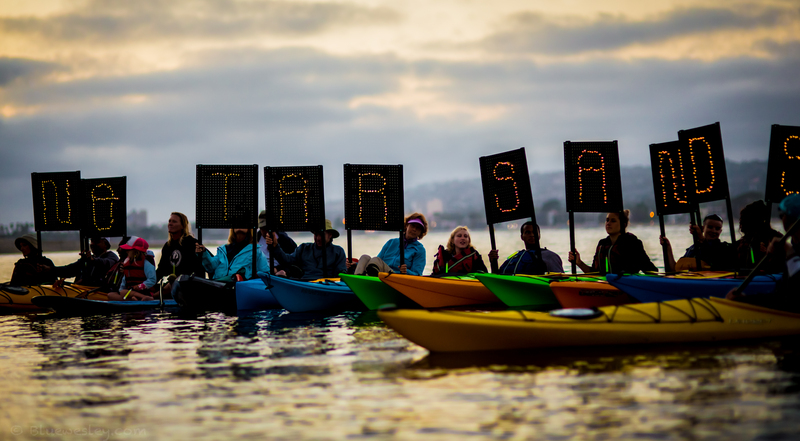 Image: Tar Sands Blockade. Despite the proliferation of Non-Governmental Organisations (NGOs) in the 1960s and 1990s, social justice issues continue to worsen on a global scale. An examination of NGO’s role in transnational capitalism reveals why they have failed to deliver the end of poverty, inequality and exploitation, and how they in fact bolster oppressive power dynamics that perpetuate these problems and pacify social movements truly capable of transforming society. Wherever the state ceases to provide welfare, NGOs spring up or move in to work in these newly neglected fields. Most large NGOs are financed by Western-dominated economic organisations like the World Bank, Western governments, corporations, the UN, and foundations of the owning classes; they are inextricably bound up in the political formation that oversees the neoliberal project and demands the original slash in state provision. When NGOs repackage as benevolence that which we ought to have by right, it turns people into dependent victims and forms a buffer between the Empire and its subjects. The capital available to NGOs plays the same role in the Third Sector as the speculative capital that flows in and out of the economies of the Global South: a disciplining one. Those suffering at the sharp end of an unjust capitalist system are once again usurped by capital, while wealthy corporations and states are allowed to mask their exploitative and colonial practices through so-called philanthropic work. In catering to funders with agendas incompatible to their own, NGOs are predisposed to “mission drift”: they are dislocated from their original goals and unaccountable to the affected communities in which they intervene. Forced to operate as if in a political and historical vacuum, they market themselves to prove, in neoliberal terms, their relevancy and efficiency, and that they are worthy of sustained income. The NGO discourse around social issues therefore tends to be romantic or imperialist. In marketing projects they parade poverty in proposals and reinforce racist stereotypes of perpetual victims in need of the “White Man’s help”. As well as compromising their own radical or liberatory practices for money, this subordination prevents NGOs adopting intersectional politics or acting in solidarity with groups that pose a threat to capital. Indigenous liberation struggles for life and land directly confront the framework on which our colonial and capitalist society is based. Some environmental groups are forced to disengage with or undermine indigenous resistance, consequently weakening fundamentally transformative parts of the environmental movement. This dynamic was cast starkly into light at the 2015 London Climate March when stewards from Avaaz and Oxfam attempted to cover the indigenous collective The Wretched of the Earth’s ‘British Imperialism Causes Climate Injustice’ placard and called the police when the bloc refused to move from the front. The same well-funded NGOs have invested heavily in cultivating a veneer of promoting democracy. But the reality is that most follow a rigidly hierarchical corporate model where decision-making power lies with an elite. While ostensibly non-profits, their structural placement in the economy is one of capital accumulation, amassing billions in revenue, issuing lucrative salaries to CEOs and piling millions into marketing departments.1 And although large groups have the potential to engage their supporters in direct democracy, most members of the public supposedly contributing to the projects serve as mere financial benefactors: they do not meaningfully participate in the campaign or its directionality. Moreover, the license of NGOs to lobby and spend privileges those with existing power and money. NGOs with significant capital backing can pay for public propaganda campaigns and those with status can access politicians the same way industry lobbyists do – whilst grassroots organisations are locked out. Today, we are still assessing the effects of “subsidised revolution”. A printed anthology from a women of colour collective in the US, Incite!, critiqued the “non-profit industrial complex” in 2007 after years of experiencing its limiting effects. The articles lay out the reality of “NGOisation”: a preoccupation with writing grant proposals and wooing foundations robs NGO workers of time and floods them with a sea of bureaucracy. They become too busy and exhausted to spend time participating in communities and taking direct action, and NGOs absorb and employ the most energised activists, deradicalising or outright removing key figures from autonomous social movements. Being able to work full-time on an issue places staff at an advantage over those who endeavour to do the same in their spare time. With more hours spent on the struggle, they are perceived to have more expert knowledge, more useful contacts, and will often assume the role of spokesperson, despite sometimes lacking first hand experience of the problems. These (in)formal hierarchies play an important role in the co-option of social movements as employees of mission-drifting NGOs find themselves with a lot of influence. In effect, the state and ruling classes instrumentalise NGOs to monitor, co-opt and control social justice movements and manage dissent. NGO work makes a small contribution to social justice, but within strict parameters: those who struggle to emancipate themselves from the fundamental structures of economic, social and political oppression are marginalised, surveilled, and infiltrated by the state, while Big Green are welcomed into cosy dinners and offered tax breaks. NGOs could support emancipatory agendas – but that would involve them truly disengaging from their paternalistic role in social movements. Maddy Winters is a Warwick chemistry graduate involved in climate justice and free education activism.